We’re digital. We’re mobile. We’re social. We’re about connecting – the right candidates with the best healthcare providers. We heavily leverage digital tools that enable our candidates to remain abreast of our postings in real time. Here at Rad Dox iFind, we pride ourselves on being innovative and flexible. With insight from our skilled strategists, we create unparalleled digital, social, and mobile solutions that make the most of the new recruitment landscape. We realize that many candidates are on the go and don’t spend all their time trolling career sites and job boards. They’re on Facebook, Twitter, and a host of other social sites, as well as just browsing. So we insert our job announcements into the conversation via individual branded job postings on our company Facebook pages, and direct-to-Twitter push notifications of a client’s jobs. It’s a smart way to engage on-the-go candidates. Almost all candidates are mobile. That’s why our digital and media planning specialists excel in creating imaginative portable strategies that deliver a branded experience that takes advantage of all the best features of mobile technology. From Facebook apps to mobile-friendly sites to emerging mobile technologies, we help candidates leverage the strengths of the ever-changing mobile landscape. At Rad Dox iFind, we strive to identify an infinite selection of candidate services opportunities that assist to alleviate some of the planning that goes into pursuing that next great career opportunity. 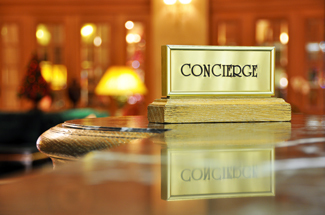 With the physician in mind, we offer our Physician Concierge Services – where yesterday’s premiere service, is today’s standard! Our Physician Concierge Services have a “tell us what you need & consider it done” attitude – one more reason to choose Rad Dox iFind as your full-service radiologist staffing consultant. Allow us to unlock your ordinary and extraordinary doors with the best in personalized, professional physician recruiting concierge services. 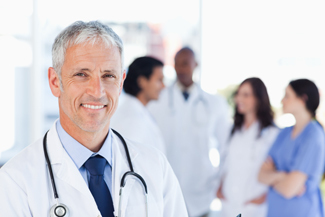 Registering with us is the best way to be viewed by one of our staffing consultants for radiologist search opportunities with reputed and fast-growing healthcare providers throughout North America. You may wish to send us an e-mail with your CV attached by clicking the link below and the right person will contact you as soon as possible. Your personally identifiable information is kept confidential. Your personal information will not be transferred or sold to any third party. Personal information obtained by Rad Dox iFind is only used internally by Rad Dox iFind for purposes of administering our business activities and providing customer service. Your personally identifiable information is kept confidential. Your personal information will not be transferred, shared or sold to any third party, without your permission. We utilize encryption/security software to safeguard the confidentiality of personal information we collect, from unauthorized access or disclosure and accidental loss, alteration or destruction. No. Your personal information is confidential and will not be transferred or sold to any third party. Personal information obtained from Rad Dox iFind is only used internally by Rad Dox iFind for purposes of administering our business activities and providing customer service. Our ethics are a critical building block of our business. Our own success is based on adherence to the highest ethical standards: long-term client relationships, and the ability to identify top candidates for our clients. 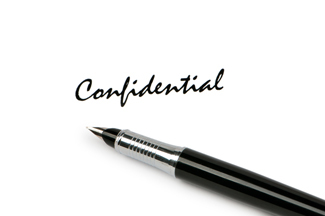 Protecting the confidentiality and interests of the client and of candidates is, of course, of utmost importance. Information submitted throughout this website, unless when entering independent third-party entity websites, will be submitted though our secure server software (SSL), which encrypts all information on our forms, so that it cannot be read as it (information) travels over the Internet.